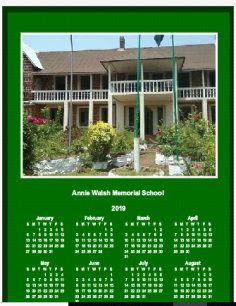 Learn more and participate in our upcoming, fun-filled events here at Annie Walsh Old Girls Association (AWOGA). 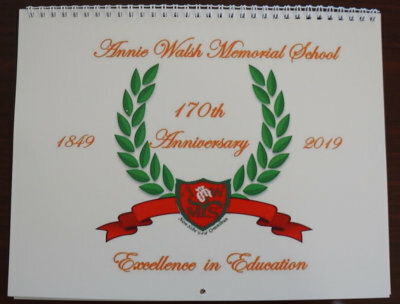 As you might already be aware, the Annie Walsh Memorial School, founded in 1849, will be celebrating 170 years of existence in 2019. The AWOGA Washington Metropolitan Branch has established The AWMS 170th Anniversary Committee, as well as the related subcommittees, to develop and manage a schedule of events for celebrating this milestone anniversary. Below is a list of the events with information on the respective AWOGA Washington members serving as chairpersons to help take us smoothly through the celebrations. Mrs. Olabisi Daramy and Mrs. Marjorie Thomas, who have been exemplary pillars of support for AWOGA Washington over the years, will grace the celebrations serving as Honorary Co-Chairs. Some of the events have a fund-raising goal. 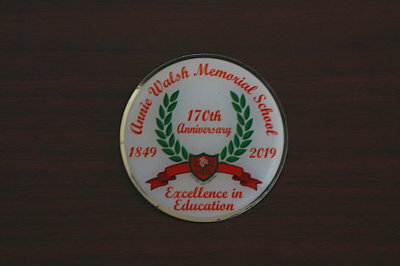 All funds raised will go towards starting a reserve fund for the Annie Walsh Memorial School. 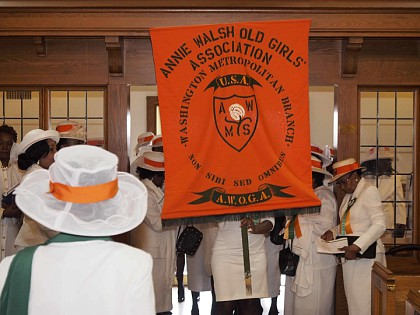 The AWOGA Washington Metro Chapter celebrations will start with the Annual Thanksgiving Service on Sunday, March 17, 2019, at the Episcopal Church of Our Saviour 1700 Powder Mill Road, Silver Spring, MD 20903, with the celebration theme — “170 Years of Excellence in Girls Education.” The Time of Service will be announced later. 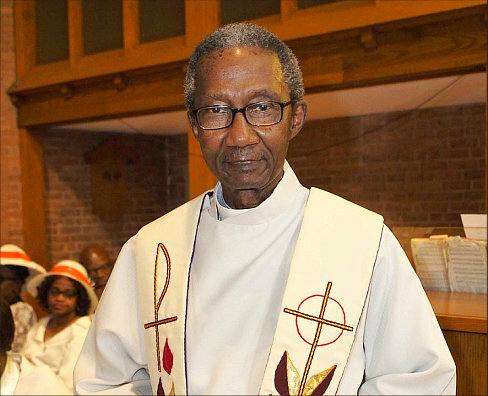 The Co-Chairs for the Thanksgiving Service Committee are Hilda Macauley and Sylvia Porter (hmacaul14@gmail.com, asylart@verizon.net). A Symposium will kick off a week-end of celebrations on Friday, July 19, 2019, with the theme, “Excellence in Education: The Pride and the Promise” at 6pm , Riderwood – Maryland Hall, 3140 Gracefield Road, Silver Spring, MD 20904. The Co-Chairs are Juliette Pettu Williams and Mimie Williams (pettu100@yahoo.com, mimierwilliams@hotmail.com ). Display Your House Color Picnic will take place on Saturday July 20, 2019, at the Granville A Gude Park, 8300 Mulberry Street, Laurel, MD 20707. The Co-Chairs for the event are Ruth Mela-Jalloh, Fatmata Johnson, and Mabel Macaulay. ( ruthie163@yahoo.com , ‘louie02181@comcast.net‘, hapheni35@aol.com). House T-Shirts will be available through this committee. A Lunch Cruise on the Spirit of Washington will round up the weekend on Sunday, July 21, 2019, departing from 600 Water St. SW, Washington, DC 20024. The Co-Chairs for the event are Adereme Findlay and Rita Johnson (deremef@gmail.com, ritaojohnson@verizon.net. As we continue to celebrate the 170th anniversary of the foundation of our beloved school, we trust that you are aware of the events to mark this milestone. The Spirit of Washington Cruise is one of the events, and “It’s a Summer Affair,” so please join us for a spectacular scenic lunch on board the Spirit of Washington Cruise Ship on Sunday, July 21, 2019. Feel free to come in your best and brightest summer attire as we sail away on the calm seas of the Potomac River. Boarding Location: 580 Water Street SW, Washington, D.C.
Cruise Time: 1:00 p.m. to 3:00 p.m. Please be on time because the boat will wait for no one, and this is completely out of our control. The “Spirit Cruise” departs from Pier 4 at the 6th and Water Streets in Southwest, Washington, D.C. [The] excursion covers the Potomac River with fascinating views of America’s great landmarks and Washington DC’s historic waterfront. No trip to Washington, DC is complete without a view from the deck of [the] festive ship. And while you’re enjoying all the highlights, you can dine, dance, and have a great time, too at the Spirit of Washington DC Cruise. If you have any further questions, comments, or concerns, please feel free to contact the co-chairs — Rita Johnson (ritaojohnson@verizon.net) and Adereme Findlay (aderemef@gmail.com). A Health & Wellness Day/Sponsored Walk will take place on Saturday, August 17, 2019, at T. Howard Duckett, 16601 Supplee Lane, Laurel, MD 20707. The Co-Chairs for the event are Oreh Cole Robinson and Jeredine Williams (carltoreh@comcast.net; jerewilliams@hotmail.com). The 170th Anniversary Gala will be held on Saturday, October 12, 2019. The Co-Chairs for the event are Monica Boyle Robinson, Ada Rahim, and Claribel Sawyer (vaxboyle@gmail.com, darahim@aol.com, ceehint@hotmail.com). Please feel encouraged to contact any of the Event Co-Chairs for further details regarding the events, to offer suggestions, or to join the committees. Come on-board and be a part of this great celebration! If this is your Alma Mater, then it’s time to give back a little of what you’ve received from the school, and be a part of the historic celebrations of the first Girls Secondary School in Africa South of the Sahara! All proceeds will go towards support to the school. Get your AWOGA Calendars for 2019! The Poster Calendar ($10) proudly displays the beautiful “Round Garden” and the newly refurbished administrative building. The Wall Calendar ($15) features 12 photos that bring nostalgia about the school and also highlights AWOGA Washington major events in 2019. 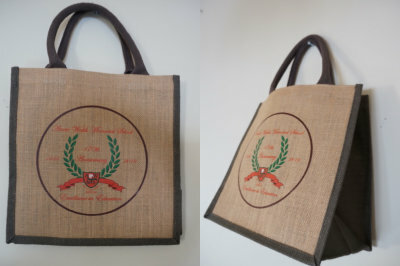 These are perfect as gifts for family and friends, especially your old schoolmates and a perfect reminder of what a great school you attended. Get your copies now! They are going fast! To order, send email to awogawashington@anniewalsh.org. Attn: Marion Richards.